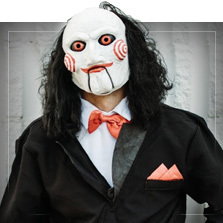 You will be terrifying with these original Halloween costumes for men! Prepare to shock everyone in your path with your Halloween outfits for men. 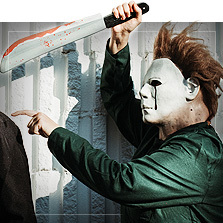 Whether you like classic terror or if you like something more bloody, we have the Halloween costumes you are looking for. Killer clown costumes are in fashion right now. 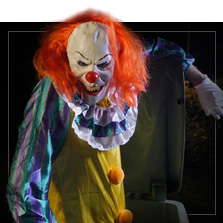 There is nothing better for Halloween night than to terrify all turning yourself into Pennywise or any other "killer clown". Remember to add good clown make-up to your Halloween outfit for men and you will scare them all! 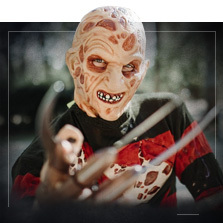 If you prefer other types of cinema terror we also have some classic outfits such as Freddy Krueger, Jason from Friday 13th, Michael Myers or the very Leatherface. Which of these would you like to be at the next Halloween party? 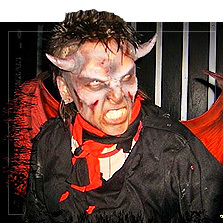 But the Halloween costumes for men that never go out of fashion are those of vampires and zombies. Add a few false wounds, prosthetics, and fake blood. Everyone will think you are the authentic living dead! You can't complete your Halloween outfit with only wounds and spots. 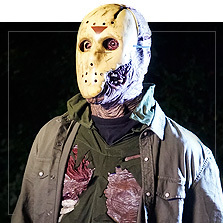 We have loads more super original Halloween costumes for men. From the Joker, the clown that terrorizes the streets of Gotham, to headless horseman to the purest Sleepy Hollow style. 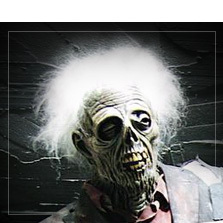 Death and grave digger costumes to Addams Family or Beetlejuice costumes, Ghostbusters or Werewolf costumes... 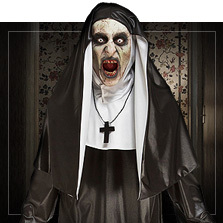 In our selection of Halloween outfits for men you will even find original Opposuit costumes with terrifying Halloween patterns. Think no longer and choose your Halloween costume for men and frighten them all to death!